Thank you for stopping by the ZomBlog. Today I’ll be taking a break from science to review Each New Morn a post-apocalyptic thriller from L. G. Thomson. My usual caveat applies, I am a scientist, not a critic, therefore I can only share my personal thoughts of the book. I must also declare a conflict of interest, as I make a special appearance in the story! In fact the book holds a special place in my heart as the author found inspiration from some of our science in the creation of her Zombies - a most humbling honour. 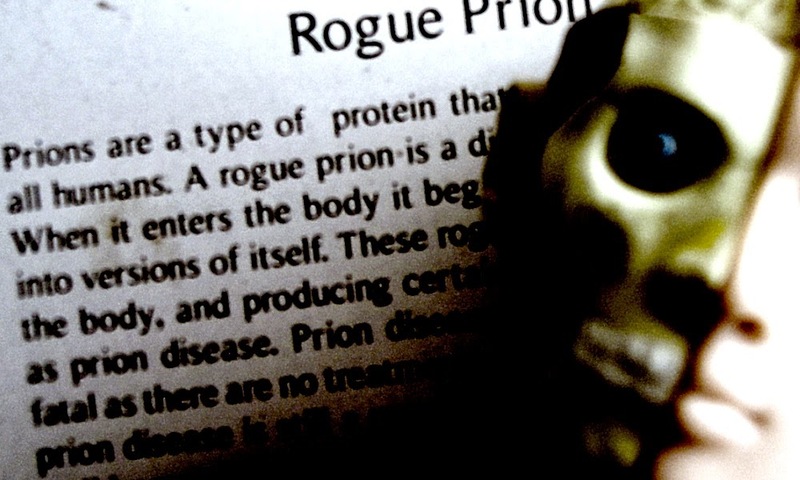 Each New Morn follows survivors of a deadly prion disease named Falling Down Flu. I can hear scientists grinding their teeth, as influenza refers to a virus not a prion, but settle down, this is explained in the book. This isn’t your traditional Zombie story, in fact the word Zombie is rarely used and the disease has many unique factors that set it apart from the standard Romero model. The outbreak begins with patients falling into a sleeping state for a short period. Some wake up fine, some never wake again and others, well, they come back different. The story begins with Chrissie, a woman alone in her home, where other members of her family haven’t woken up. Anarchy has overwhelmed the streets and she makes the decision to take a car and seek safer pastures. As is often the case, Chrissie discovers that the most dangerous element of the apocalypse is not the infected but other humans. In the second part we are introduced to Shaw, a man who was trapped on a visit to his home village and like Chrissie, his family doesn’t awaken with him. He does have a lovely dog, Toby, for company. It is here that we have our first encounter with a ‘Zombie’. This doesn’t happen until more than 80 pages in, very unusual for a Zombie tale, however I found the story so gripping, that I hadn’t even noticed. After dispatching the first of many undead monsters, Shaw begins to assemble survivors and they struggle to survive against the conditions of the remote Highland area. I’m cautious not to reveal too many of the exciting twists and turns in the book, spoilers I believe they are called. But I must discuss the Zombies because I really loved (and was terrified) by them. Those who awaken changed behave in some of ways we expect of a Zombie. They are aggressive, relentless and difficult to kill. In a break from the norm they do not moan – they scream. Nicknamed Screamers they roam the night wailing horribly. This is a nice nod to the banshee, a fixture of Scottish Gaelic mythology. These creatures are also vulnerable to injury in a more human way, meaning it’s not just a headshot that’ll take them down. I liked that because from a scientific perspective the lack of explanation as to how the body functions without blood flowing, or consumed food & drink being transferred to energy, is a bit confusing. Overall the story is action packed – it covers a long journey and a long period of time. It explores areas many other Zombie stories overlook, such as the rise of feral animals, an explosion in the insect population and the realistic decay of the things we humans leave behind. The approach is different from other Zombies stories, making it a fresh and surprising read – and as an avid fan of all things Zombie this doesn’t happen to me often. It is set in Scotland, and being my home country, I liked that a lot. There’s something exciting about being able to visualize these events happening in your immediate world. My only slight confusion was why American terms were used, such as ‘gas’ and ‘store’, as the characters were not American. Perhaps this helps with international sales. 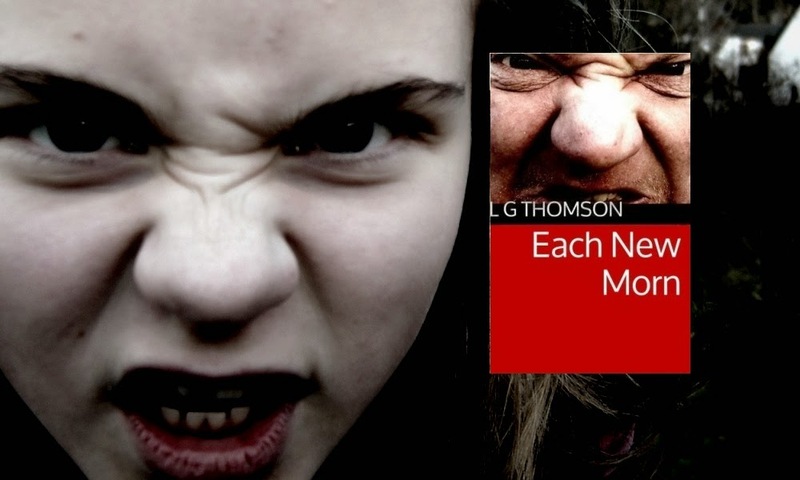 If you’d like a gripping, fresh take on the Zombie genre, packed with tension and surprises that are equally pleasant and horrible then Each New Morn is for you. 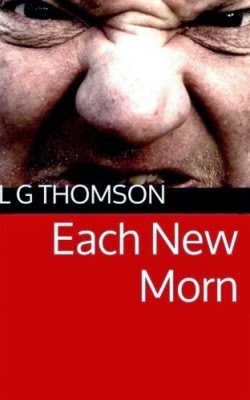 L. G. Thomson’s Each New Morn is available on Amazon and more information can be found on the official website.